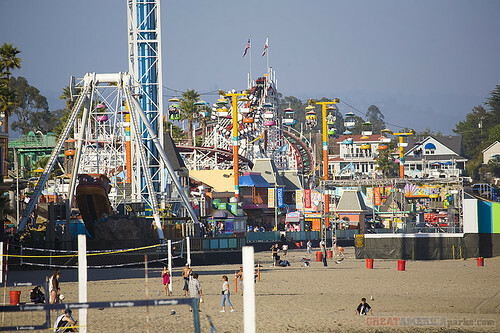 The Santa Cruz Beach Boardwalk’s rides are open on weekends in January and on Monday, 18 January 2010 for limited operation. Please note that the Giant Dipper is scheduled to be closed for maintenance through 10 January 2009. Be sure to check with the park that it’s reopened before heading to Santa Cruz if you want to ride the Giant Dipper. Call 831 423-5590 to verify operating rides on the day of your visit.